The Lehigh Valley Chapter of the Celiac Support Association recently broke bread at Paese Mio in Allentown (6561 Tilghman St., 610-481-0400), where the menu includes gluten-free pizza and pasta. 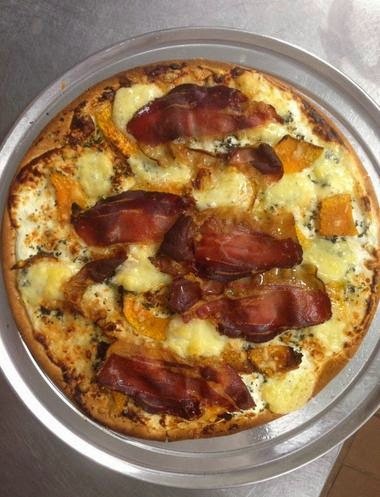 Nearby, Hellertown's Sagra Bistro (620 Main St., 484-851-3220) also has gluten-free pizza and pasta, along with desserts. Many of the meat and seafood dishes are not made with gluten-containing ingredients. The kitchen staff uses clean saute pans for each dish and utensils are sanitized after each use. I was saddened to hear that the all-gluten-free Little Bakery in Blue Bell will be closing next Saturday, March 14. The bakery's mint brownies and lemon bars were sinful. If you missed my Tuesday feature, you can catch up on campus-wide gluten-free options at more than a dozen area colleges and universities. Passover foods are starting to appear on supermarket shelves. You can find many new gluten-free items, including matzo ball mix and brownie mix from Manischewitz. 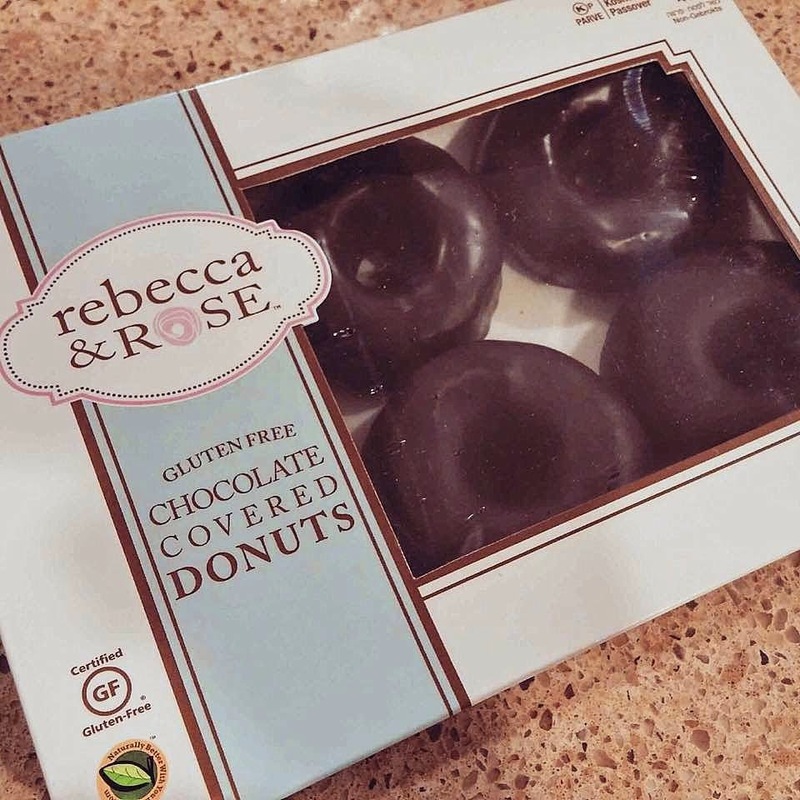 Earlier in the week, I sampled Entenmann's-like gluten-free chocolate covered donuts from Kedem Foods' Rebecca & Rose brand and can report that they are definitely worth the splurge. Rebecca & Rose items will be sold at Whole Foods and other stores with large Passover sections. Target stores have expanded their selection of Udi's products. Available items now include burritos, pizzas, breads and rolls, cookies and frozen meals. 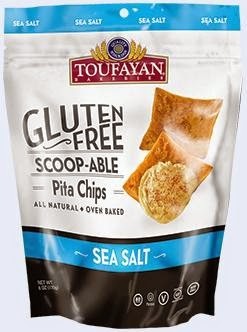 The Toufayan Bakeries gluten-free pita chips that I sampled last fall at the Expo East gourmet food show are now making their way to stores. The snacks come in Sea Salt, Salted Caramel and Chili Lime varieties and are all natural, non-GMO, vegan and OU Parve. Expo East's sister showcase, Expo West, is being held this week and many new gluten-free products have been announced. In addition to the Cape Cod Dipping Shells and Pretzel Crisps Minis I wrote about in recent weeks, Snyder's-Lance is introducing three other items: Lance's gluten-free Peanut Butter and Cheddar Cheese Sandwich Crackers, and Eatsmart Naturals' Sea Salt and Lime Dipping Chips. are non-GMO. 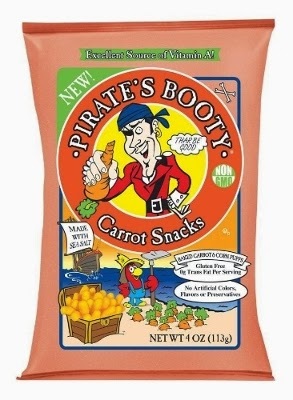 Pirate's Booty Crunchy Treasures are baked rice and corn puffs in four pirate-themed shapes—X marks the spots, anchors, ship wheels and parrots—and blended with aged white cheddar cheese. Lucy's unveiled a new product, Triple Chocolate Brownie Crisp, featuring a mix of chocolate chunks, chocolate chips, cocoa and Madagascar vanilla. HomeFree announced Lemon Burst Mini Cookies and Chocolate Chip Mini Cookies Snack Multipack as the newest additions to its line of nationally distributed gluten-free, allergy-friendly cookies. Gratify Foods' newest products include Original Baked Bites, Cinnamon Baked Bites, Sea Salt Pretzel Crackers and Everything Thins.